Whenever I’m seeking dinnertime inspiration, I almost always start with my Pinterest boards, full of beautiful pictures of tempting recipes I’ve vowed to recreate myself. 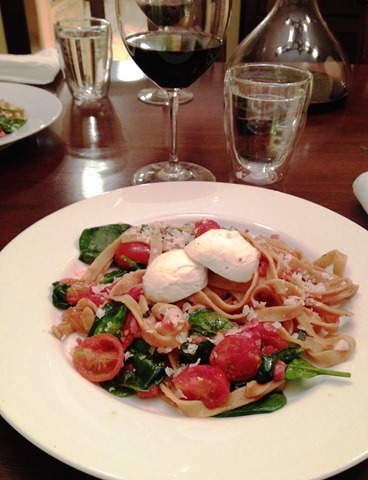 One such recipe, Fettuccine with Seared Tomatoes, Spinach and Burrata. I adooore the fresh, creamy cheese, so mostly any burrata recipe is guaranteed Pinspiration. So that’s how Saturday’s dinner began but then I made the dish my own, adding fresh basil and pancetta for flavor. Plus as luck would have it, the grocery store did not sell burrata so instead I ended up with local bocconcini which I guess is kind of the same – not quite as divine – but delicious none the less. Heat a large skillet on medium high heat and lightly coat with cooking spray. Place tomatoes, cut side down onto skillet and cook for 2 minutes, until quietly sizzling. Remove from pan and set aside. Add pancetta to the pan and cook for a few minutes until lightly browned. Remove from skillet and set aside, leaving rendered fat in pan. Turn heat to low. Add garlic and red pepper to the fat, cook for 2 minutes. Then add diced tomatoes and simmer mixture for 8 minutes, stirring occasionally. Add spinach, basil, tomatoes, pancetta, and cooked pasta into the pan; toss well until spinach and basil wilt slightly. Season with salt and pepper to taste, keeping in mind pancetta is salty. Divide pasta mixture onto plates. 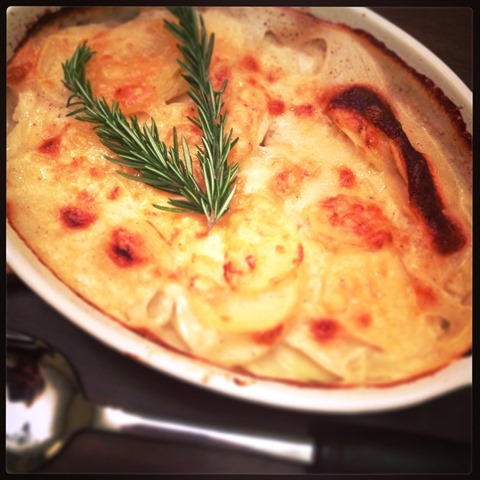 Top with bocconcini and serve. It’s Wednesday and we’re recapping the weekend. Things have been busy! But I think a Wednesday weekend recap will do, especially for one as scrumptious as this. Friday was spent with my sweet old high school friends at Cornerstone Brewing Company in Berea Square. Looking so adorable still dressed up for Christmas! Although their food doesn’t really light my fire, their Seven IPA is as delicious as they come and I can’t say no to that. Saturday was so (rainy but) warm! 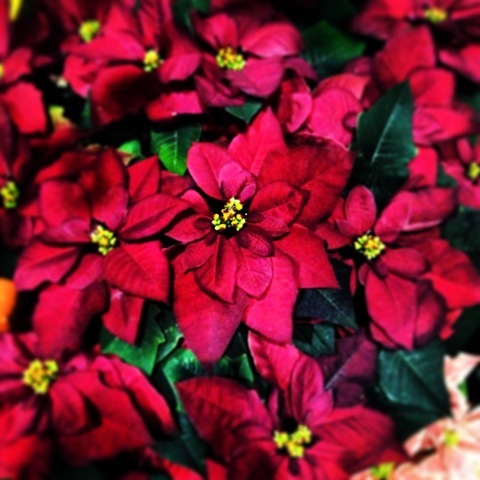 A perfect winter day for a trip to the Westside Market. 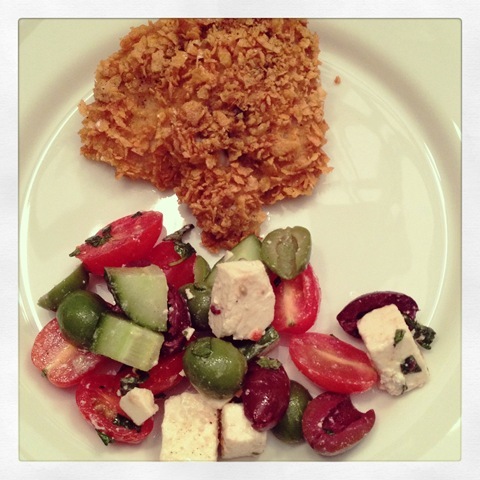 We bought ingredients for that evening’s dinner, healthier “fried” chicken and minty Greek salad. Plus a delightful loaf of fresh bread from my favorite, Mediterra Bakehouse. It was a lighter yet yummy supper, perfect for a January I’m-so-sick-of-resolutions-already dinner. Post-dinner we crossed the first item off my 2014 CL Bucket List and attended the late show at Hilarities. Yannis Pappas was the headliner and as with all of the night’s comedians – just. too. funny. And only $18 a ticket! Why don’t we do that more often. Sunday’s breakfast was rather decadent, another product of our WSM shopping trip. 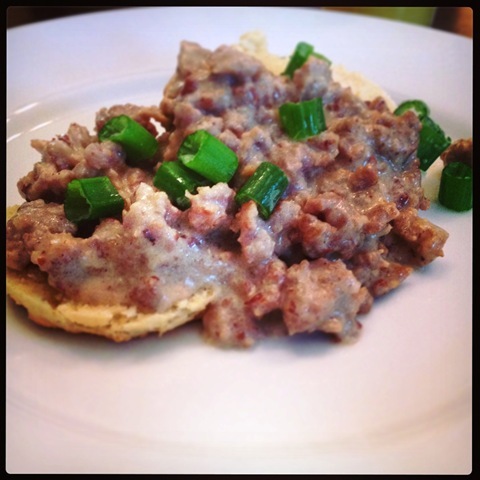 Sausage gravy and homemade biscuits. Dare I say better than Lucky’s? Perhaps not but certainly closer to home and impressively delicious for our first try! Followed by way too much television time but who can resist all those gorgeous (and not so gorgeous) Red Carpet fashions? Not I. And so there’s last weekend. Likely, I’ll see you again after the next :). And then it was Christmas. It always comes too fast! By Christmas Eve all non-family visitors were back to their own homes, so it was a Phillips family affair. We did what we always do on Christmas Eve, dinner at House of Hunan in Medina Square (so beautiful at the holidays), a drive around Christmas lights and a National Lampoon’s Christmas Vacation screening with dessert back at home. Very predictable and very fun. Christmas morning was lost in a sea of presents (and they were lovely), so breakfast came around noon – Nigella Lawson’s Christmas Morning Muffins with fruit salad and honeyed yogurt. And coffee, always lots of coffee. The ideal special but not *too* rich holiday morning meal. 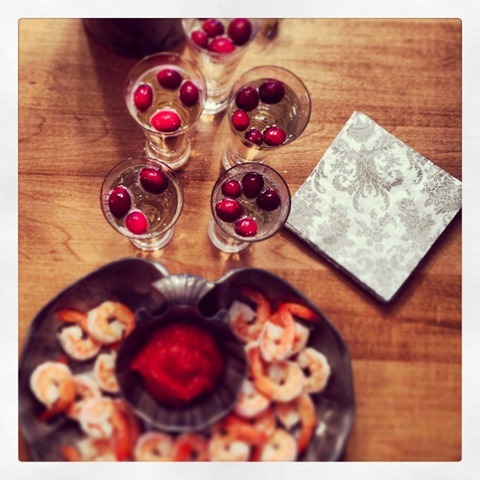 And in the evening, shrimp cocktail and Prosecco, with floating cranberries for a festive little twist. 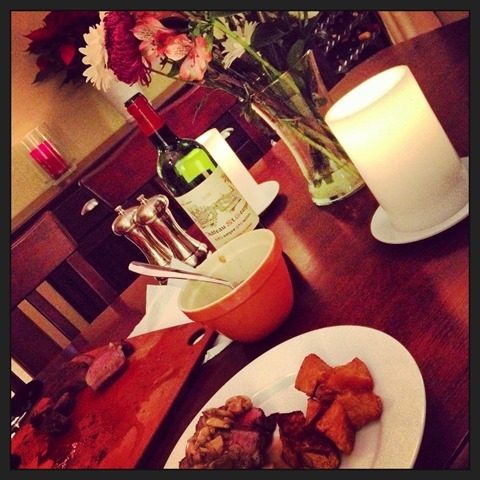 Followed by Christmas dinner – and yes I ate it all :). 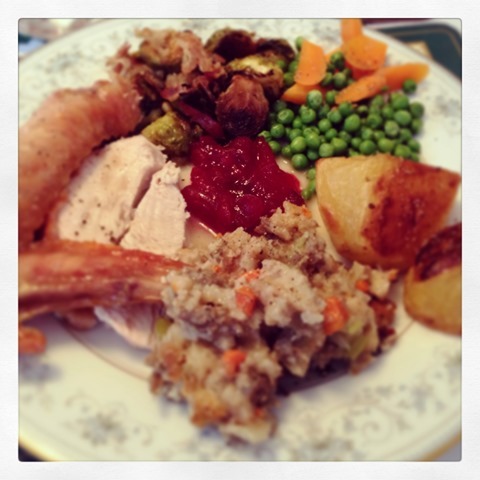 Turkey, my dad’s incredible once-a-year stuffing, roast potatoes, peas and carrots, Bumped Up Brussel Sprouts and cranberry sauce. As we went duck l’orange and gingerbread stuffing at Thanksgiving, Christmas was more traditional and that was perfect. And finally, my mum’s Chocolate Truffle Torte with lots of fresh cream. It is so luxurious, it is heaven. Lots of food, lots of wine, lots of family, lots of friends, lots of presents, lots of laughter, lots of love. A very Merry Christmas indeed. In case you hadn’t noticed by today’s 25 degree thermometer reading, Cleveland’s not-so-friendly winter is officially upon us. Which before Christmas, is just fine in my book. Extra cold weather makes warm homes cozier, fire places brighter and bottomless glasses of red wine seem necessary for survival. Days are best spent hibernating – cooking and eating delicious food. Which is exactly what we did this weekend! 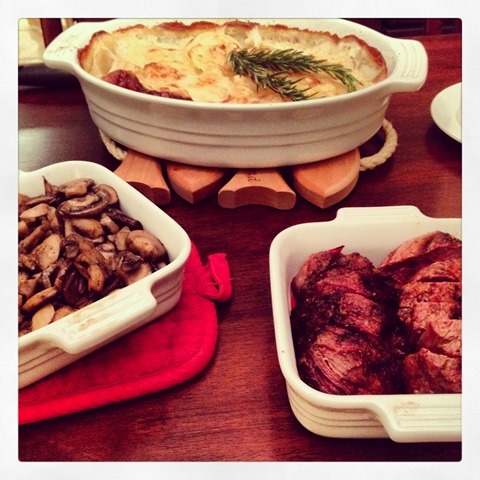 On Friday, a late night steak dinner – fillet decked out with a to die for mushroom sherry sauce, which this mushroom aficionado could not. stop. eating. Plus spicy-sweet roast sweet potatoes to really warm our insides. We realized after sitting down to eat that our plates were most definitely missing anything green. But never mind, it was Friday and I think that means vegetables are out and wine is most definitely in :). Saturday we enjoyed a fun day out in Ohio City and at the Westside Market, all dressed up and looking lovely for Christmas. We gathered ingredients for that evening’s dinner: Rachael Ray’s Umami Chicken Stew, had a little lunch at Great Lakes (and a Christmas Ale?) and did some present shopping at the Made in the 216 Holiday Shoppe. I loved it! Local gifts are the best gifts, I say. Later, dinner was delicious – overflowing with all kinds of unique umami flavors. Leftovers are plentiful. 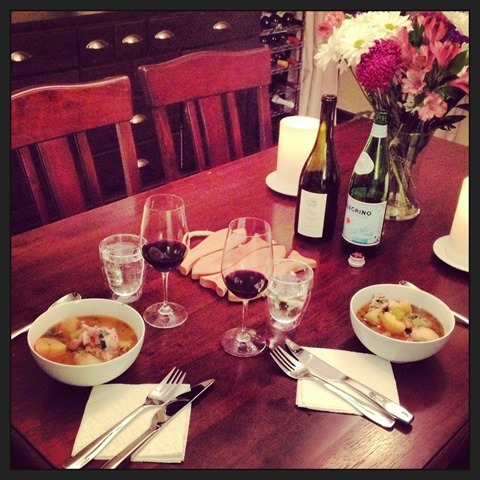 And finally, a lush Sunday night dinner of Short Ribs and Homemade Dumplings. 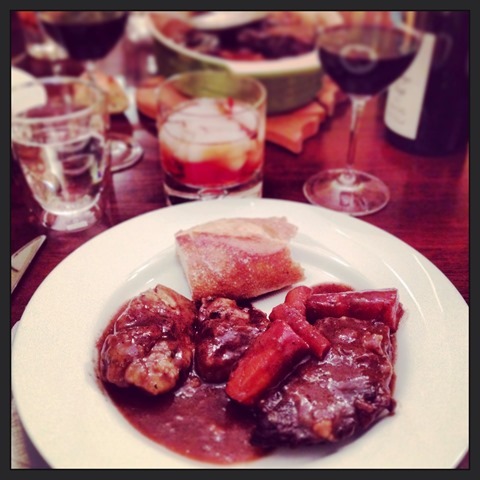 The short ribs were fall-off-the-fork tender and the dumplings chewy gooey perfection. I could eat a million. Then we *tried* to make Christmas cookies and I almost made myself cry. Lessons learned include: ‘Quit while you’re ahead’ and ‘Good cooks are not always good bakers’. 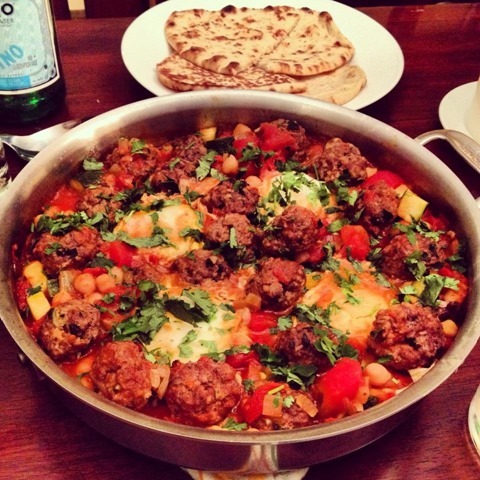 Oh well – just a little something to keep that foodie ego in check :). 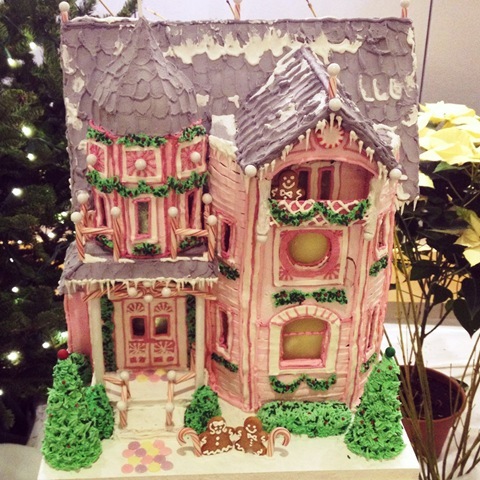 A lovely start to a month of December decadence to come. One of many gorgeous recipes to be found in Rachael Ray’s new cookbook, Week in a Day. The book contains more than two hundred recipes that help you prepare five nights’ worth of meals in a single day. A good idea, right? And while flipping through, I could hardly choose which to sample for this post. I see a lot of recipes from this lovely book in our future dinner plans. Anyway, the recipe was wonderful but I’m sure you don’t care as much about what I ate last night as what you can do in a couple of weeks. Rachael is coming to Cleveland! 1. 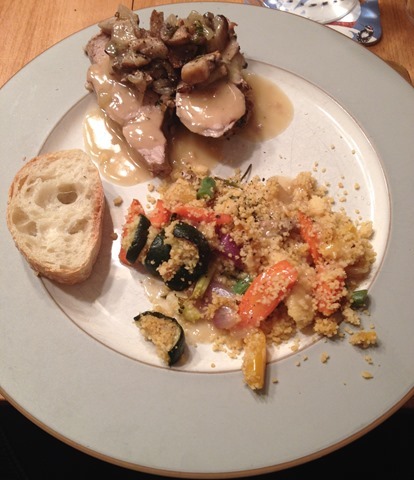 Leave me a comment with your favorite easy weekday dinner. If you’re already following, you can say so. Leave a separate comment for each entry. Winner will be announced December 6th. Best of luck! Thank you to Atria Books for the information/invitations. Opinions are of course, all my own.